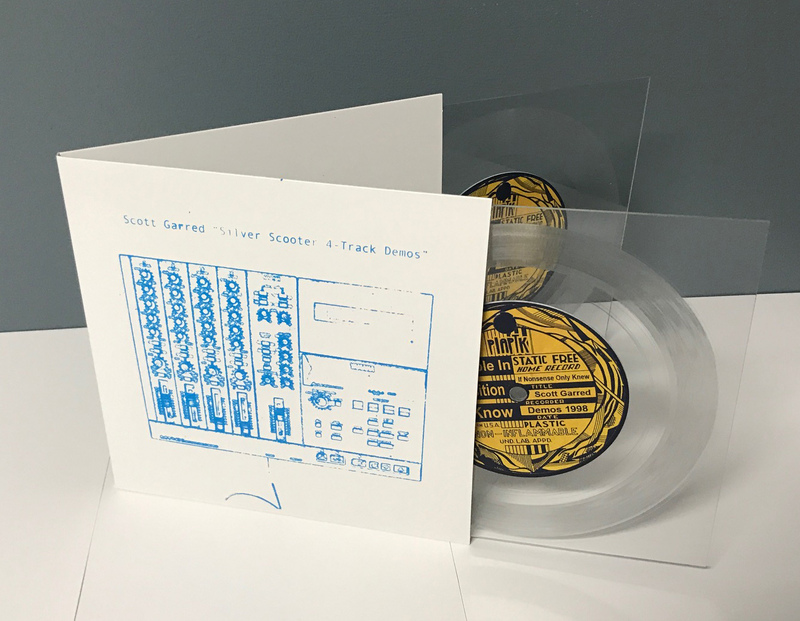 1) Golden Boots/Gene Tripp Euro Tour Split 7"
3) Eric Slick - Lathe Cut 7"
PS... Just a reminder that we, like many teeny tiny indie labels are not Amazon. We don't have enormous warehouse and armies of minimum wage package packers just eagerly awaiting your credit card deposit. We have a cool, bearded, dude named Seth. And Seth has other jobs, and only comes down to the Lathe Cave for shipping duty twice a week. So, give us a couple days to get these out. We are just putting the finishing splashes of silkscreen ink and silky smooth plastic wrap on a couple of these. We believe that patience is a virtue and idle hands are the devils playthings. So we will meet you in the middle of those two ideals. 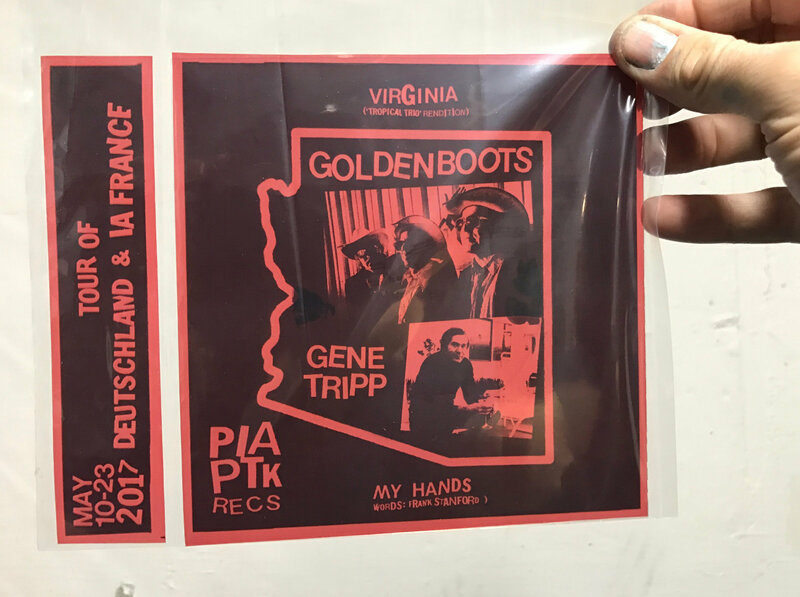 Golden Boots are on their way to Europe to tour with (and back up) their new favorite band, Phoenix's Gene Tripp. 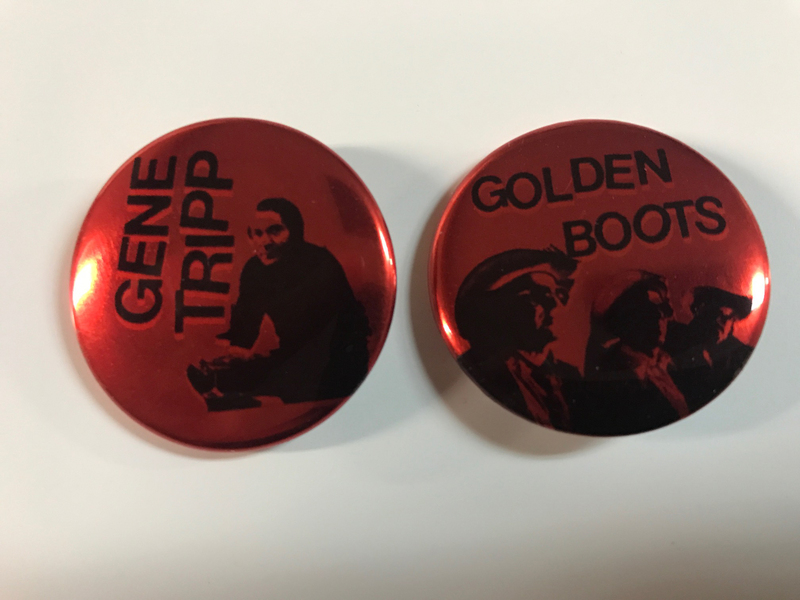 Like the darker more somber side of the Golden Boots' weirdo country coin, Gene Tripp provides a beautiful and heavy counterpoint to the Golden Boots' current "Tropical Trio" Casio Country incarnation. 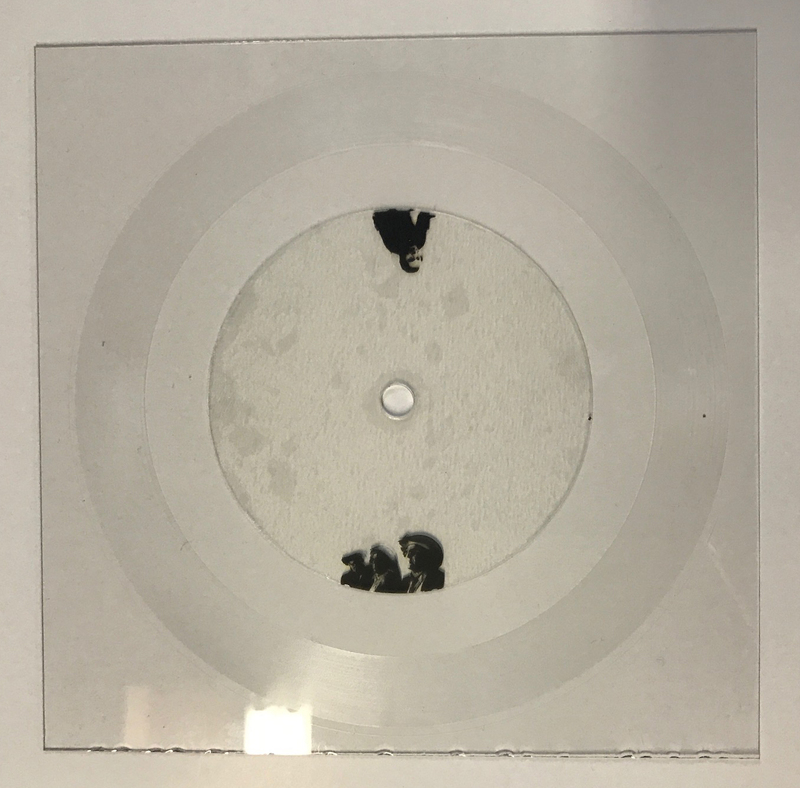 Gene's music is best summed up my Mark Anderson: “if you like downer, cowboy blues with experimental underpinnings then this is the album for you.”Both represented on this limited edition semi-flexi lathe cut record. |But, WAIT! There's More! 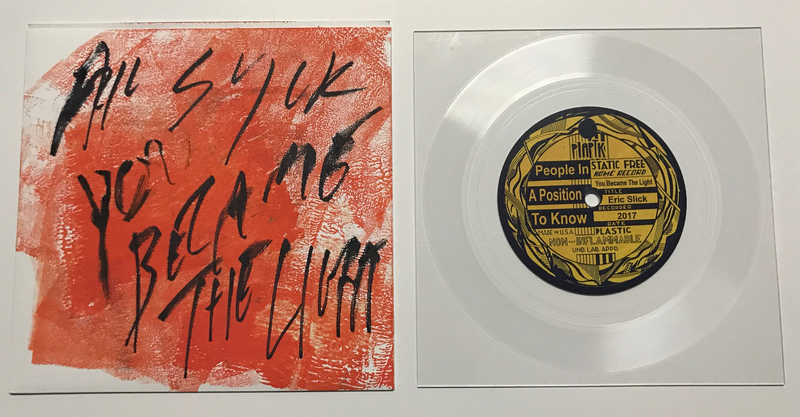 In order to use up all the wasted space at the bottom of the beautiful red transparencies, we've made some beautiful metallic red transparency buttons to accompany the records! 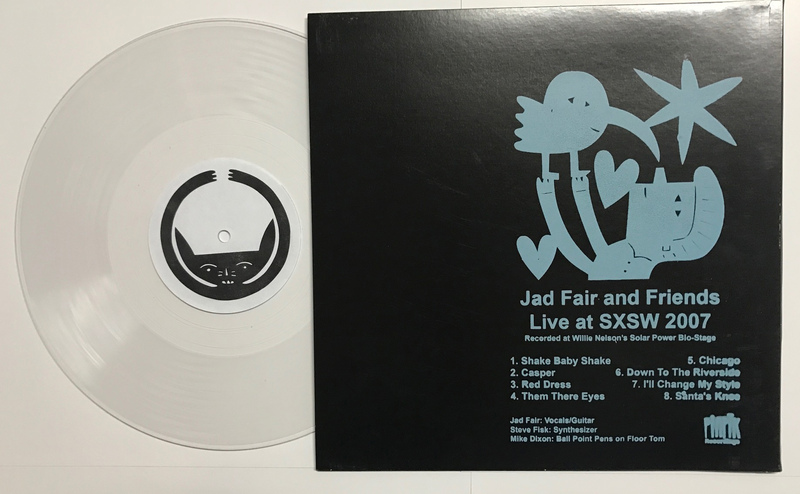 Back in 2007, I went to go see Jad Fair play at Willie Nelson's SXSW Solar Powered Biostage. I had just released an 8" lathe cut for him but we had never met. I walked up and introduced myself. The first words out of his mouth were, "Do you play drums? Steve Fisk (legendary Seattle producer) and I are about to play, wanna play with us?" and, of course, i said "of course!" But when I got to the stage, there were no drumsticks, no cymbals, no bass drum pedal, and no snare drum. So, I played the whole set with nothing but a floor tom, a woodblock, two ballpoint pens and a Willie Nelson brand bottle of water. Jad played a tiny kids size Epiphone Les Paul, and Steve played synth. It was an avant garde free jazz take on several classics from the Jad/Half Japanese catalog. 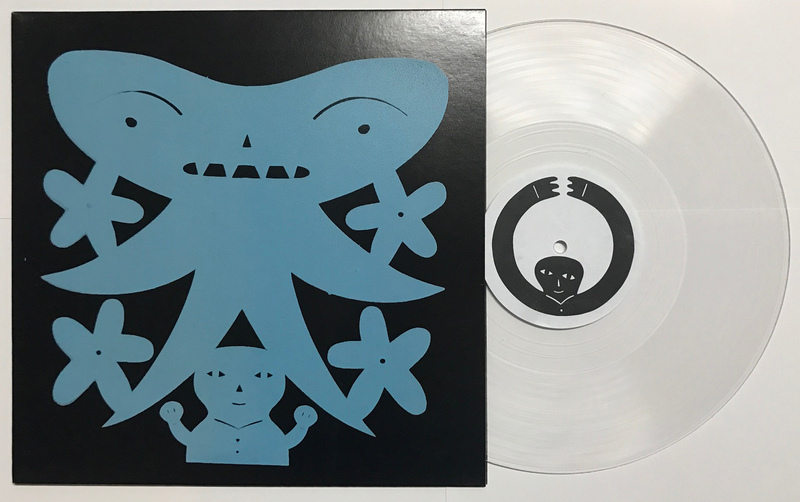 And now, for no reason other than I willed it to be, it exists in a physical form and is available on a 10" in a silkscreened sleeve in a Limited Edition of 75 Copies. 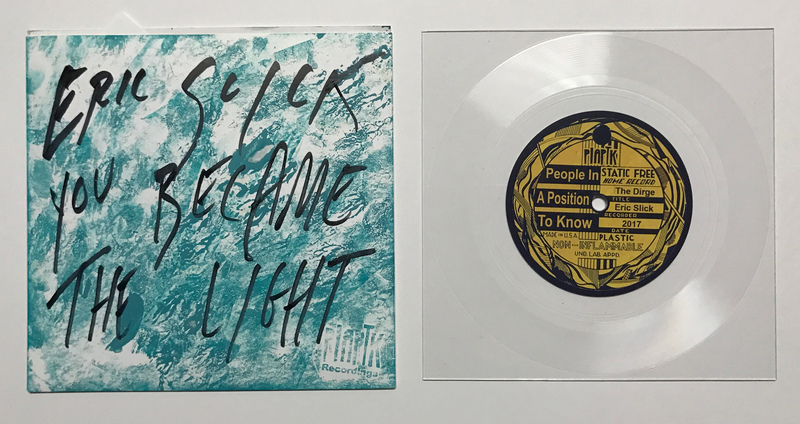 3) Eric Slick - You Became the Light/Dirge 7"
Two new tracks from Dr Dog drummer, turned solo rock frontman, Eric Slick! A far cry from his previous Soild Gold solo record of Fahey-esque instrumental primitive guitar, this single displays his indie guitar rock background and influences. Each one comes in a sleeve hand painted and scribblegraphed on by Eric himself. Limited Edition of 100 copies. Silver Scooter were one of my favorite bands in college. They were part of the early 90s first wave of Emo-Pop (with some post-punk flavor) coming out of Austin. I discovered them when a guy I worked with named them as his favorite Texas band a day before I found a pre-release promo copy of their (then upcoming) final album, The Blue Law, at a local record store. My buddy working the counter gave it to me, and from then on, I was hooked. And, as is my MO with bands and artists that I love, I set out to befriend them and did (I even ended up being able to buy one of 2 enormous photo collages that were created for the album art of The Blue Law by SS guitarist/artist Shawn Camp, that now hangs proudly in my living room next to my record shelf). After Silver Scooter broke up, singer/songwriter Scott Garred moved to Portland and began focusing on his long time solo project, SuperXXman and worked as a music therapist. Recently, in preparing to release his first solo record (Tiny Little Things, check it out, it's great!) under his own name, Scott came across a cassette of OLD bedroom pop guitar and casio demos for Silver Scooter and early SuperXXman songs. Scott was gracious enough to let me trip down memory lane with him and release these four tunes on double 7" square lathe cut in hand-screened gatefold sleeves. 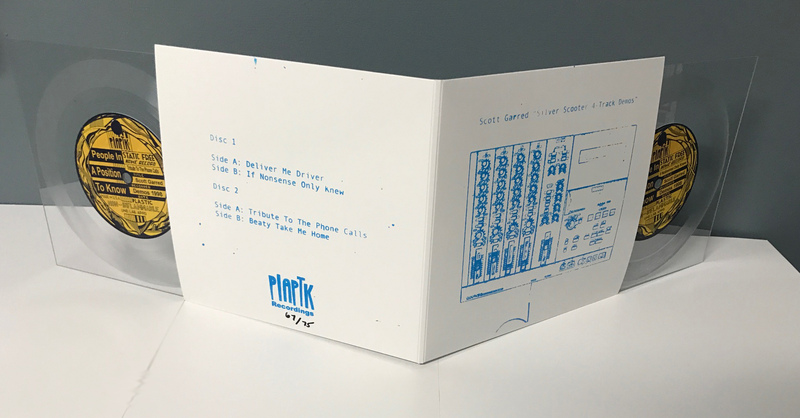 Limited Edition of 75 copies. The weekly wrap up: well, that brings us to the slow and uneventful conclusion of yet another missive cast out into the inter-ether; uncertain of it's own purpose (commerce? persuasion? self-validation?) or efficacy. One Love to Jah, Namaste, I'm Audi5000.